Those who attack nurses at work should receive the same swift justice as the spectator who assaulted Aston Villa footballer Jack Grealish, the head of NHS Employers said. 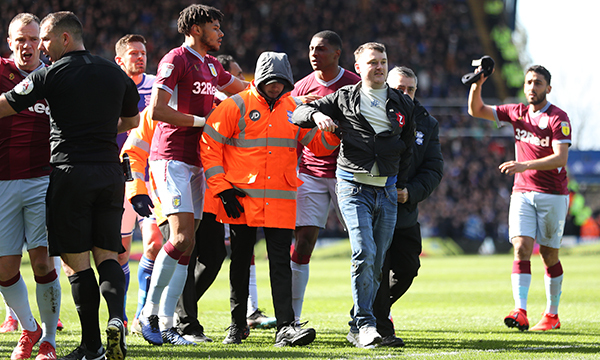 Mr Grealish was assaulted by a pitch invader at a match in Birmingham earlier this month. The following day his attacker, Paul Mitchell, of Rubery, Worcestershire, was jailed for 14 weeks at Birmingham Magistrates’ Court, after admitting assault and invading the pitch. He said the recently introduced Assaults on Emergency Workers bill was welcome, but it still takes too long for nurses to see justice done. The legislation means maximum prison sentences are doubled from six to 12 months for those who assault public sector workers in the course of their duty. The trust told Nursing Standard there were 269 reported incidents of either physical or verbal abuse against staff in 2018. It has joined forces with local police to launch a local campaign called Operation Cavell, which aims to stop violence against NHS staff. A National Police Chiefs' Council spokesperson told Nursing Standard that while violence against healthcare staff is inexcusable, the time to resolve cases could vary significantly. ‘Assaults should not be tolerated and cases are progressed as quickly as is practical given the circumstances of each case,’ the spokesperson said.